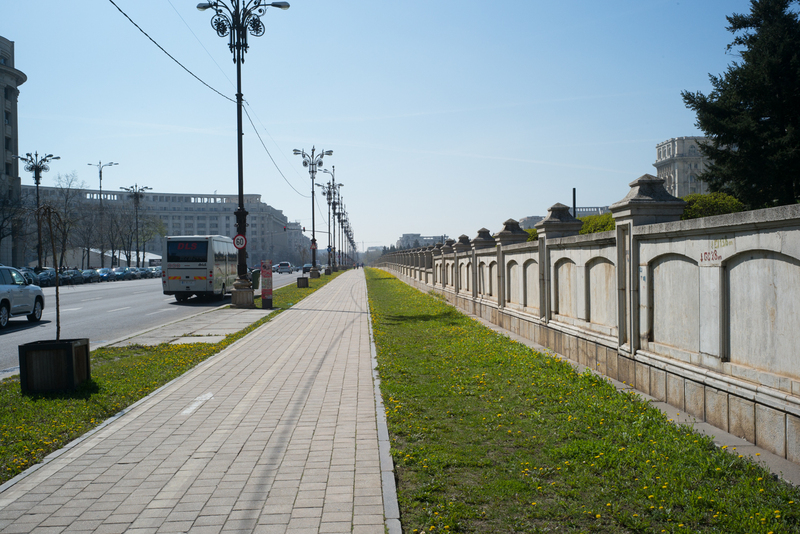 this is a very long sidewalk – easily half a kilometer of unbroken pavement. what is it? 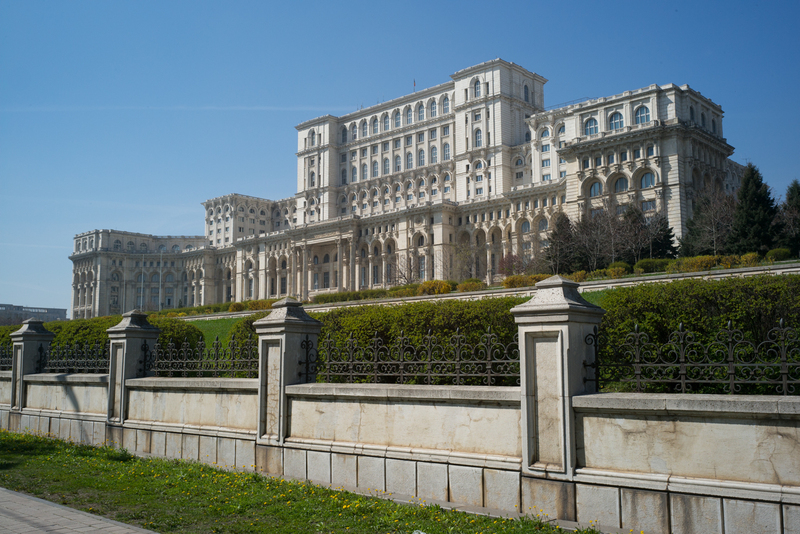 the palace of the parliament is the heaviest building in the world, the second-largest government administrative building in the world, and the third largest building in the world overall, with a height of 84 meters, a footprint of 365,000 square meters and a volume of 2,550,000 cubic meters. 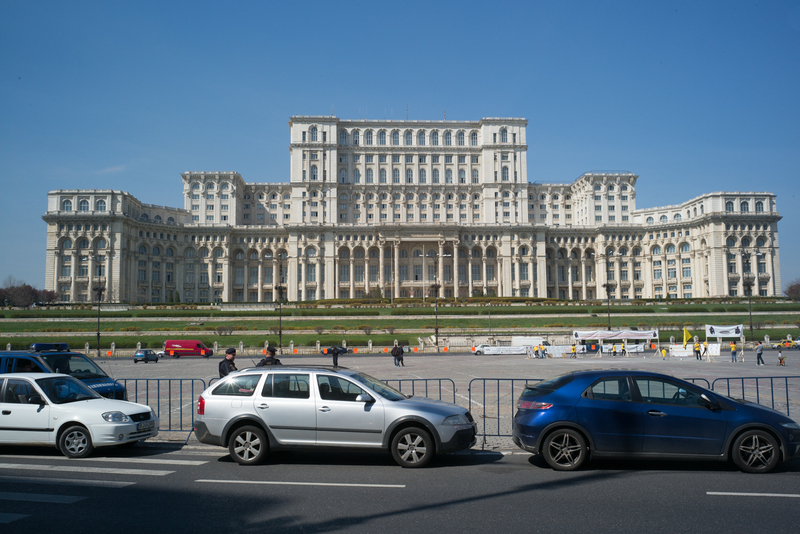 it contains 1,100 rooms (only 400 of which are in use), including the senate, the chamber of deputies, the palace museum, and the museums of contemporary art and of communist totalitarianism. according to engineers, it is sinking under its own weight, by 6mm per year. at this rate, it will disappear completely in 14,000 years, so visit soon – but if you are a foreigner, don’t forget to bring your passport with you, or you won’t be able to get in; a simple id card isn’t enough – a fact that someone might have clarified in all the guide books and websites, thank you very much.